May 2017 Martie Slate - How Being a BA is Similar to Teaching 2nd Graders! July 2017 Kermit Morse - What's Up with all the Certifications? Laura is a Systems Analyst Practice Lead at Alliance Data card services in Columbus, Ohio. She the IT industry for more than 15 years, the last ten years of which have been focused on the Business Analyst role. Laura has a B.S. in Computer Science from Xavier University and a Master's Degree from Wright State University, focusing on Management Information Systems and Services. Looking for a job? Want to know more about looking for a job? Have questions for an IT recruiter that you've never felt comfortable asking? Tonight is your chance! We will be exploring common questions job seekers have and common things recruiters are looking for or look to avoid. Download Cassandra's presentation so you can reference it as you are looking for new employment opportunities in the IT fields. Cassandra Faris is the Director of Talent Management at Improving Columbus, a software development consulting and training company. She is passionate about growing the tech community and its people, regularly attending, speaking at, and helping organize conferences and events. She is President of the Microsoft-focused DogFoodCon. She has an MBA in Organizational Leadership, and is an avid tabletop gamer, runner, and soccer fan who travels as much as possible. At the conclusion of the presentation, you will have not only these questions as a take away but the context in which they have found each question useful. Download Randy and Jim's presentation so you can reference it when looking at the reporting needs in your company. Randy has been a CBAP for seven years. He works as a Lead Requirements Analyst at Nationwide Insurance. Randy holds an MS in Computer and Information Science (CIS) from the University of California at Los Angeles (UCLA) and a BS in CIS from The Ohio State University. Randy has been married to his lovely wife, Debbie, for just over 41 years. His daughter, Devon, works at Nationwide and his son, Marcus, is an Emergency Department Nurse in California. When not updating the chapter financial records, Randy is a soccer referee, assignor and instructor, creating stained glass pieces or studying Additive Manufacturing (3D Printing). Jim is a Certified Business Analysis Professional (CBAP) and is a Lean Six Sigma Green Belt. Jim likes good movies and the really unintentionally bad movies, equally enjoying high camp and low brow. It is intrinsically pleasing to him to search for the common idea that explains many disparate objects. Jim thinks that is why he enjoy analysis – even when we are stymied – it is the search that really matters – the result is better for the thinking – especially the alternative viewpoint. The most powerful tool is “Why” and it is often the hardest and bravest question to ask. How Being a BA is Similar to Teaching 2nd Graders! Writing a presentation or documentation can be a challenge. An even bigger challenge to many people? Public Speaking. We all speak publicly everyday and, as Business Analyst, we write everyday too. Knowing how to write to your audience is key. Knowing how to overcome public speaking fears is also important as we grow our careers and ourselves. We will discuss writing and presenting tools and tips as well as ways to improve your public speaking capabilities while squashing our fears. Download Martie's presentation so you can reference it when looking at the reporting needs in your company. 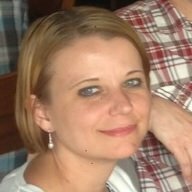 Martie is a Business Analyst with Sogeti Consulting. With a background in Quality Assurance testing, Martie has an eye for detail, a trait that lends well to the Business Analyst role. She has worked with retail, government, banking and energy companies in the central Ohio area over the last ten years. Martie has a B.S. in Child and Family Studies from Eastern Kentucky University and a Master's Degree in Early Childhood Education and Teaching from The Ohio State University. Many know about or have experienced the old adage of Deja Vu, the feeling you've experienced something but never have. I invite you to consider Vuja De, where you have experienced something, but look at it in a new way. In this session we will explore principals of Design Thinking, Product Management and Ownership, User Experience Design, and how they can make us better Analysts. We will creatively destruct what we know, dare to be original and rethink groupthink. Inspired by the books Originals by Adam Grant, Change By Design by Tim Brown, and 100 Things Every Designer Needs to Know about People by Susan Weinschenk. Angela Lopez holds a Bachelor’s of Science in Operations Management (six-sigma) from The Ohio State University, and a Masters in Information Systems from Keller Graduate School of Management. She lives by the code "continuous improvement” and her license plate is PA’LANTE which is slang in Spanish for “Moving Forward". She has been certified as a Project Manager and Scrum Master, and currently in the process of a shiny new Certified Change Management Certification. Currently an independent consultant, she has worn various hats from product manager to technical software sales, PM/BA to QA, and coach/delivery leader to training and change management; across multiple environments from small software start ups to Global Enterprises. She believes in influencing change through thought leadership. She uses her energy and passion to actively engage the Columbus technology community, as Vice President of Columbus Women of Technology as well as being an active contributor to of several professional and groups like Project Management Institute, Association for Change Management, Association for Training and Development, IIBA, COHAA, and is the founder of agileLUNCHBOX. Angela is an advocate for diversity and she is committed to cultivating change to address the wide gap of opportunity for women and minorities in technology. An idea and creativity addict, she is an avid reader, fitness novice, and aspiring writer and geek. Most of all she enjoys connecting and engaging with people to solve the world’s problems through obscure and creative conversations. What’s up with all of the Certifications? Time was when there was only one organization that provided certification for a specific role. Now, organizations are branching out to offer certification in areas outside of their primary focus. This presentation will take a look at all of the certifications available in the business analyst/project management space, what it takes to receive the certification from both an education and cost perspective, and what you need to do to maintain the certification. Download Kermit's presentation so you can reference it as you are considering the various certifications available to Business Analysts. Kermit has been a Business Analyst in the Columbus, Ohio area for over 30 years. He is currently a consultant for ICC and holds a B.S. in Computer Science from The Ohio State University. Data should never be boring – yet despite the resources devoted to data playgrounds for data scientists and analysts, the excitement of data-driven decisions is often buried under boring charts and mountains of text. What if your users were heroes tasked with resolving some sort of conflict? Come discover data storytelling, the art of narrating the analytic process. You’ll learn how the basics of a narrative – setting, characters, plot, conflict, and theme – can be used to enhance decision making. Practical design tips, applicable to static presentations as well as visualization tools, will help you narrate your heroes through a decision-making journey to resolve complex business problems. This hands-on workshop will help the Business Analyst to identify the context, characters, problems, and events that are required to make evidence-based decisions. Participants will come away with the knowledge and tools to create your own data stories. Download Mike and Joshua's presentation so you can benefit from their information and tips for Data Storytelling. Mike is the Business Intelligence Requirements Practice lead for ICC . His role is to develop people with skill sets to enable the gathering of business requirements and translating them into technical specifications for business intelligence projects. He has 35 years of experience in every aspect of BI project development including requirement gathering, systems analysis/design, data modeling, programming, QA testing, system implementation, and performance testing. Joshua uses his diverse set of professional and educational experiences to provide creative visualization solutions. He is comfortable with advanced quantitative analysis and statistical modeling as well as creative writing and artistic design. His educational background in behavioral economics provides unique insights into human perception of information. His extensive public speaking background informs his methods of data storytelling. He has designed visualizations for clients in a variety of industries including library sciences, healthcare, retail, restaurant and non-profit. Too large user stories are a major contributor to Scrum teams not meeting their sprint goals. Through discussion and group activities we’ll discover how smaller user stories can improve team performance as well as help us deliver more value to the customer. This presentation will begin with a discussion of the benefits of small user stories to both the team and to the customer, and review various techniques for splitting any user story. We’ll conclude with a group exercise where we will create micro stories for building a small application. Download Michael's presentation so you can benefit from his information and tips for User Stories. Michael started using agile in 1998 when he stepped out of day-to-day software development and needed a process to help his team deliver projects successfully. He is a Scrum Master/Agile Coach and has taught in the graduate programs at OSU and DeVry University Keller Graduate School of Management. Michael has published several articles and books on business and technology topics. When not at work, Michael enjoys golf, home brewing, and traveling with his wife Tami.